The VAG group answered the need expressed by the German army for a light four-wheel-drive vehicle by proposing the Typ 183 “Iltis”, an Audi but in name. Its engine was indeed a 1.7-litre Audi, as was the 4WD transmission that would soon find its way into the Quattro. The Volkswagen Iltis competed with Mercedes-Benz for the lucrative market and, thanks to a lower price, clinched the deal with the military. Production started in 1978. Ironically, MB’s project, the G-Wagen, would enjoy a longer career and a much larger success than its rival. 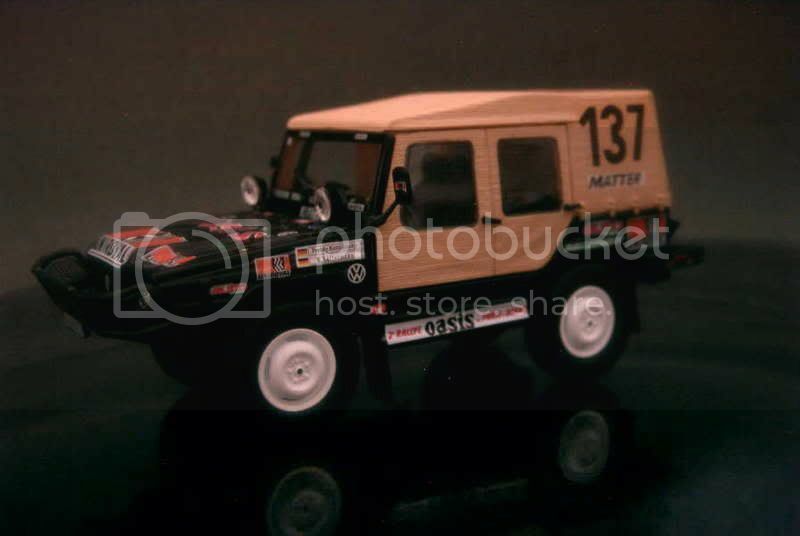 The Iltis wasn’t a bad vehicle at all, but unfortunately, nobody apart from the German army really seemed to care. 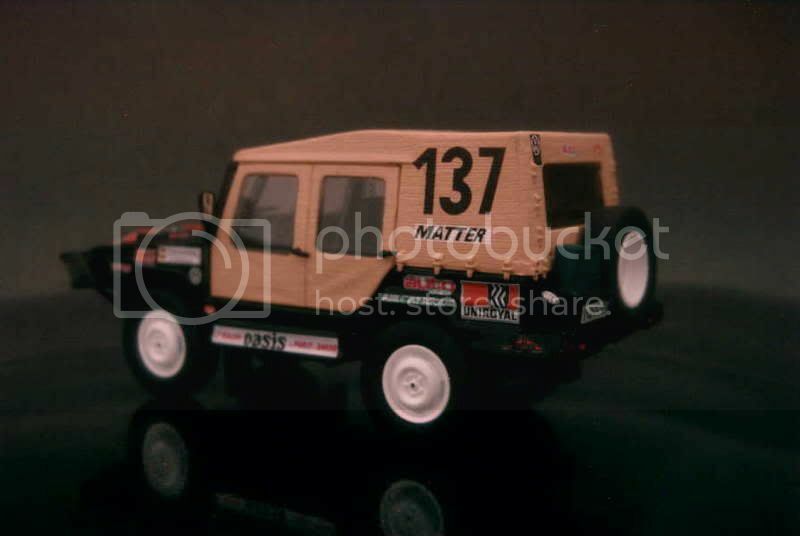 A few foreign countries bought handfuls of Iltis for their own soldiers, while the car’s launch on the civilian market proved a total flop despite the good publicity generated by a lucky win during the second Paris-Dakar rally in 1980. After fulfilling its last military contracts, VAG suspended the car’s production in 1988. Less than 10,000 had been built. Though the wheels and the canvas top and doors have this unfortunate "plastic look" about them, Norev's Iltis is good-looking overall. Mirrors are delicately done and the many decals are well applied. As all other models of this series, the base is made of yellow plastic moulded into a piece of Saharian desert, a thoughtful detail. I'd give a 13/20 rating to this model.